I know, I’m all very dramatic. But plants and natural beauty do genuinely blow my mind sometimes. And over the weekend anniversary of my now one year old blog, as if there was ever any doubt, WA hit me over the head with enough plant-loving stories and content to last me at least another year of chat. It also cemented another certainty in life. I fell for Australian native plants in a big way a good few years ago, but three days in Perth and I am absolutely hooked. Quite obsessed, actually. 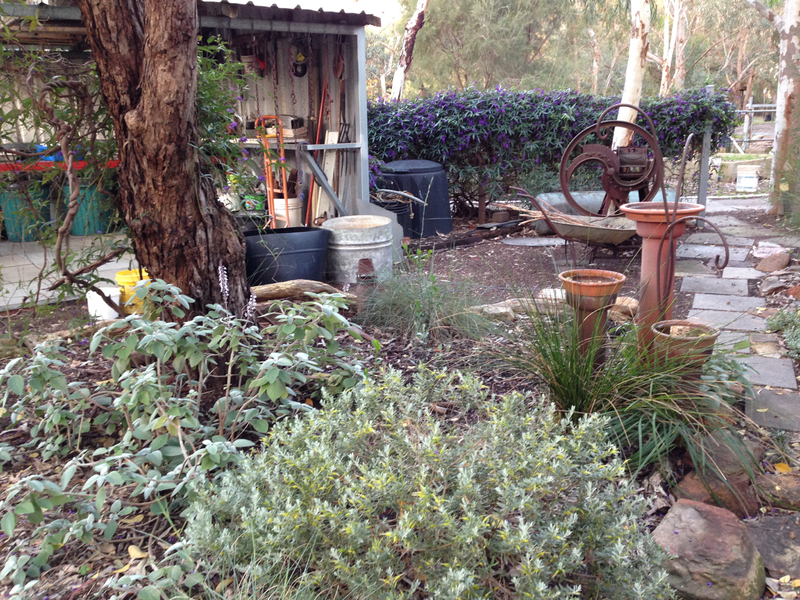 I was so buzzing that the first client I saw on my return this week signed up to a full front garden of native plants. Perhaps I’d better give her a cooling off period! I’ve been to Perth before. In fact across a number of trips I’ve driven as far north as Monkey Mia and far south as Margaret River, so I’ve seen a not insignificant part of the ridiculously large WA. But the difference was, this time I was travelling with my relatively recently acquired blogging eyes. Oh, how you see so much more through blogging eyes. 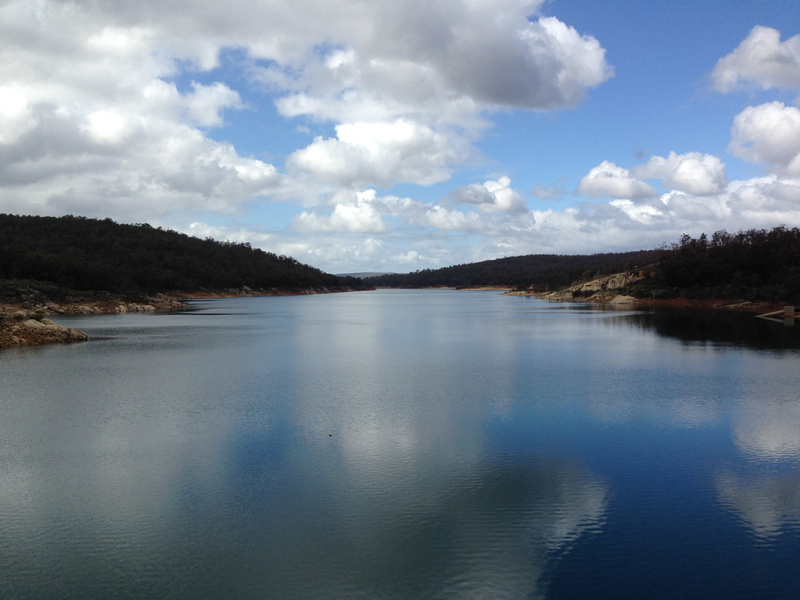 Everywhere we went, I was absolutely wowed by the natural beauty my blogging eyes saw. This city is full of natives. It has such a strong connection to the land and to nature and to what went before the roads and the skyscrapers. And having just read ‘Sense of Place’, by George Seddon, who talks of exactly these connections in the Swan Coastal Plain, the timing couldn’t have been better. I’ll write more about this highly inspiring book another time, but it is one of the few publications I have read that finds a pragmatic, yet sensitive, approach to the environment. Seddon embraces economic progress whilst proposing methods of simultaneously enhancing our lifestyles. It is rare to find someone so passionate about nature who equally understands, and works with, the pressures of the real world. Amazing stuff. Even within the central business district, I was reminded of my recent trip to Haida Gwaii. 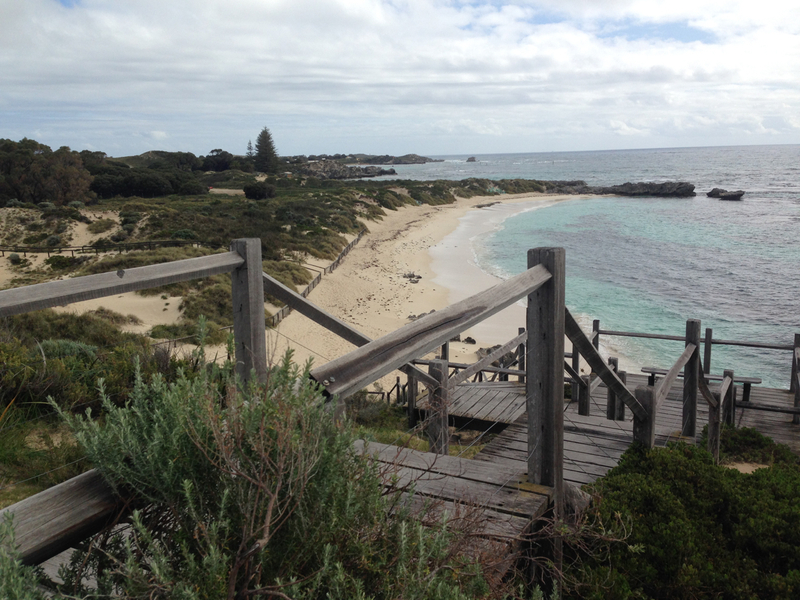 The entire Perth region has this sense of being untouched, in a way that I’ve never experienced in any other city. Perhaps it was due to a heightened awareness of the history of the land–the geology, the plants, the people–through my reading, but I could see a place with a very special, very unique character. 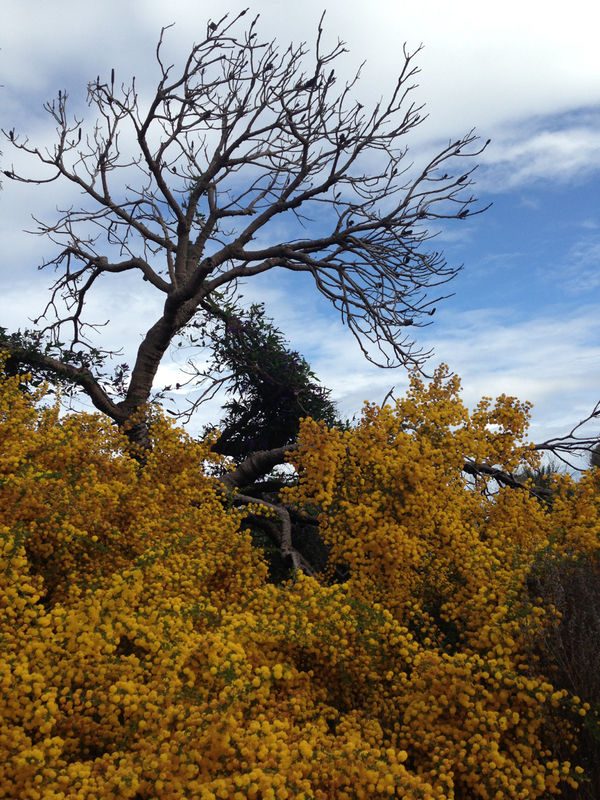 Contrasting colours and textures in this native planting in Kings Park: what’s not to love about this? I was extremely lucky to have a number of ‘local guides’ during my stay: friends from Perth who not only made the weekend incredibly fun, but also expanded my knowledge ten fold. 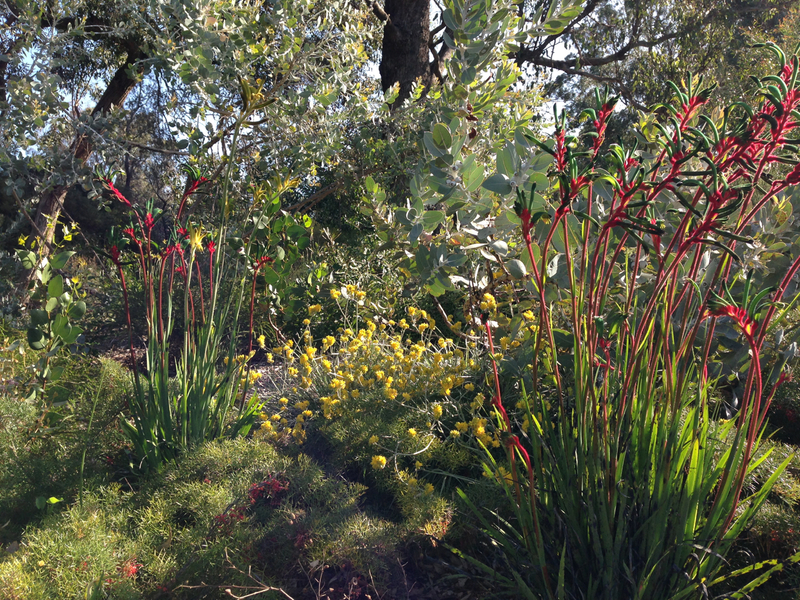 Suzanne, the mother-in-law of an old friend of mine, very kindly took me to various ‘planty’ sites; we saw the delights of Kings Park and I was very privileged to see her amazing garden: the work of some forty years of love. 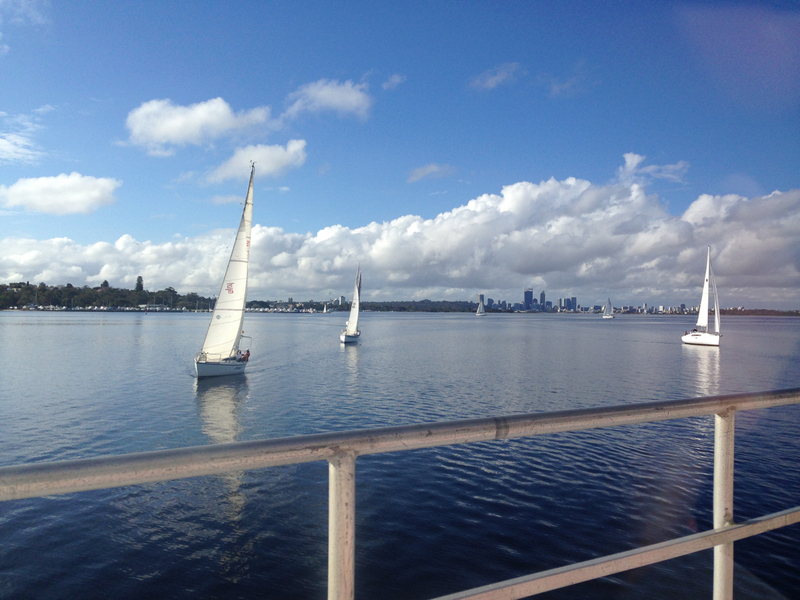 Suzanne feels that the smaller population of Perth has enabled the city to retain more of its original character, in comparison to say, Sydney or Melbourne. The huge diversity of plants (more than twice the number of indigenous species per hectare compared with the UK, for example) and the unaccommodating-of-English-plants, sandy, sandy soil, are two additional factors that must have influenced the early selection of natives over hydrangeas and hostas. 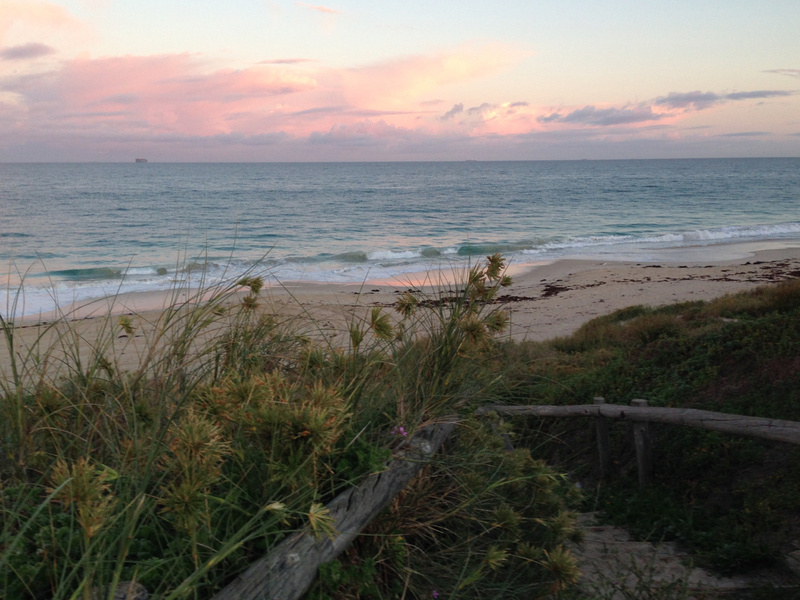 I hope you’ll join me on my blogging journey of WA, over the next few posts. There is so much I want to share. 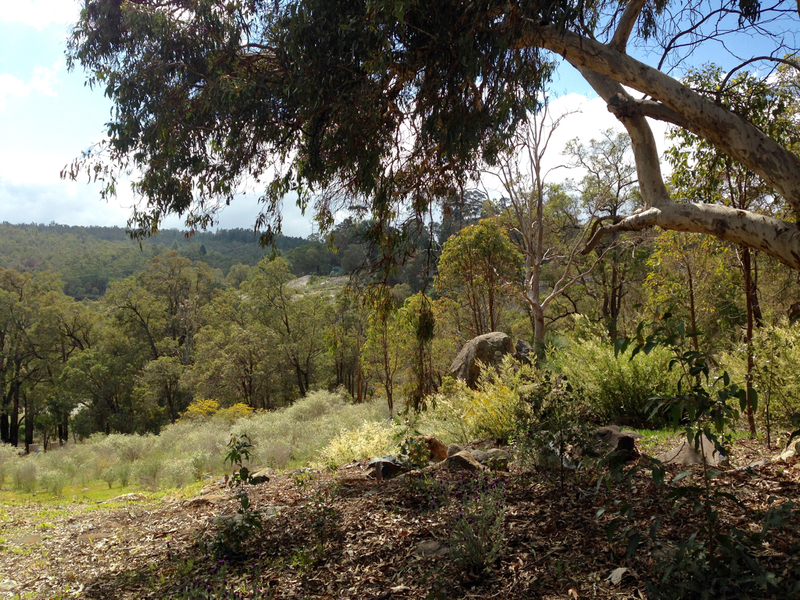 Special places include Bold Park, just 7 kilometres from the city centre, which perfectly demonstrates the amazing range of natural vegetation in the Swan Coastal Plain. 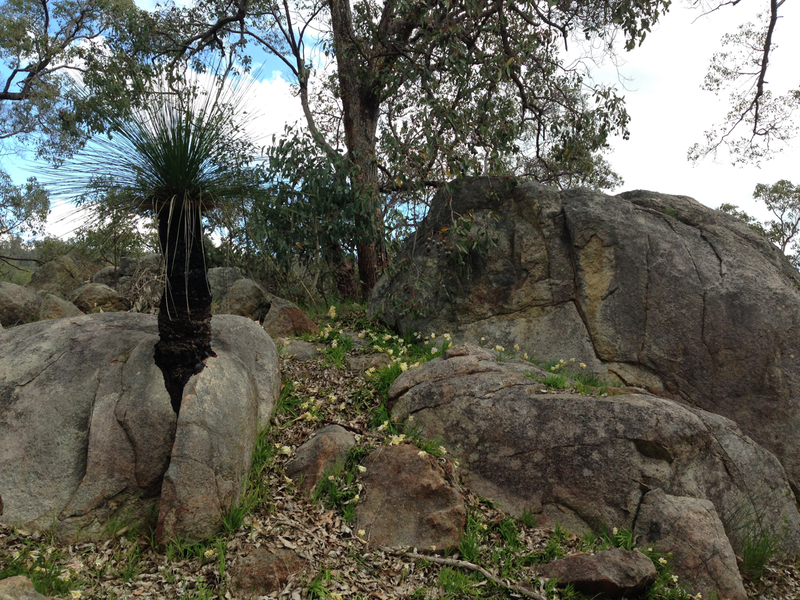 It was here that I saw my very first wild kangaroo paw, although I still can’t really believe that they hadn’t been planted. 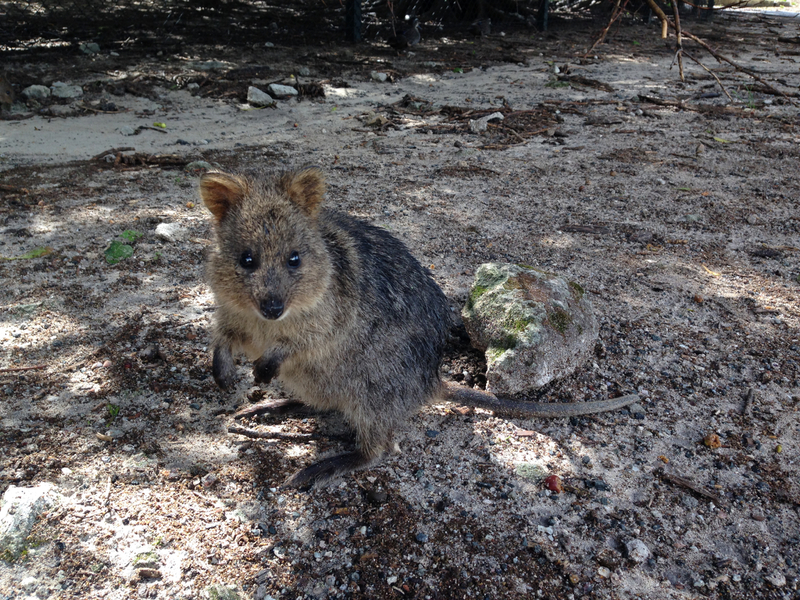 A very cute, very bouncy Rottnest quokka! It was the first I had ever seen and I was delighted to enjoy the added bonus of joeys poking their heads out of their mothers’ pouches. 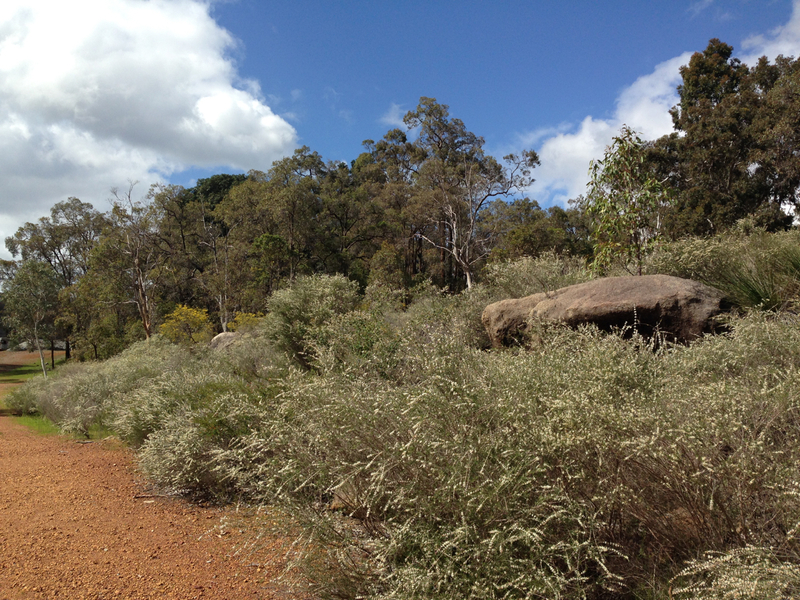 I also saw quokkas in Rottnest and fake-looking grevilleas in Kings Park, along with kilometre after kilometre of grass trees and Acacia in the hills. I’ve just got so much to show you. Fair to say, it was an amazing three days. Just three days but it felt like a fortnight. Paul and I both felt as refreshed and invigorated, if not more so, than after our much longer, still wonderful, trip to Canada. Friends and exploration: what more could you ask for? For a very different type of garden, I’ve been asked to remind the more local of you about the Daffodils at Rydal event, near the Blue Mountains, on 12, 13, 19 and 20 September. Click here for more information; I’m very much hoping to get there and see an alternative splash of yellow for myself. Oh yes Janna, as a local in Perth I know exactly what you mean. Now what is important and many people do not take into consideration is that plants native to our coastal plain are not native to Sydney’s sandstone soil or Melbourne’s clay. One country, but such different plants, soils and climates. I thought my soil was sandy until I saw Perth soil! I think our Sydney humidity puts paid to many of your beautiful plants, too. I’m very jealous of the wonderful things you can grow. You always want what you can’t have! Interesting Janna and it looks stunning. 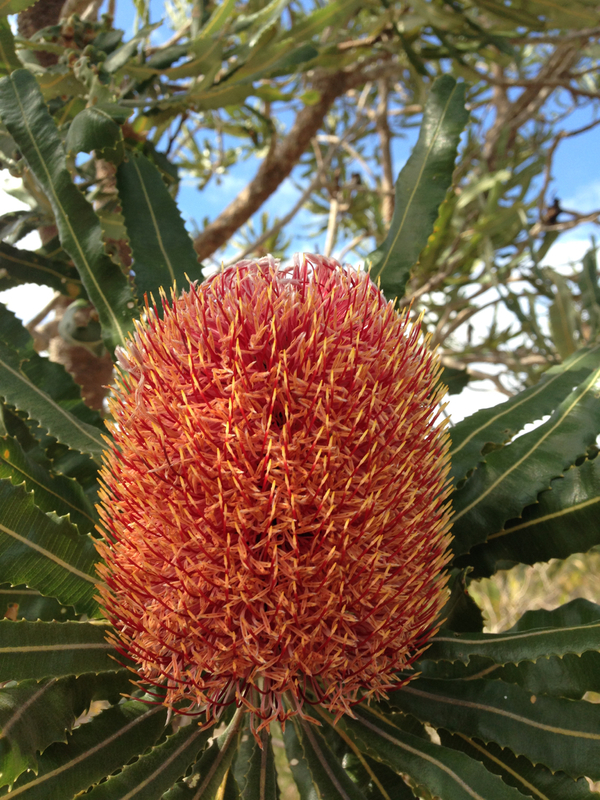 I think the isolation from the rest of Australia plays a part too and as Barbara says – these plants are native to WA only! 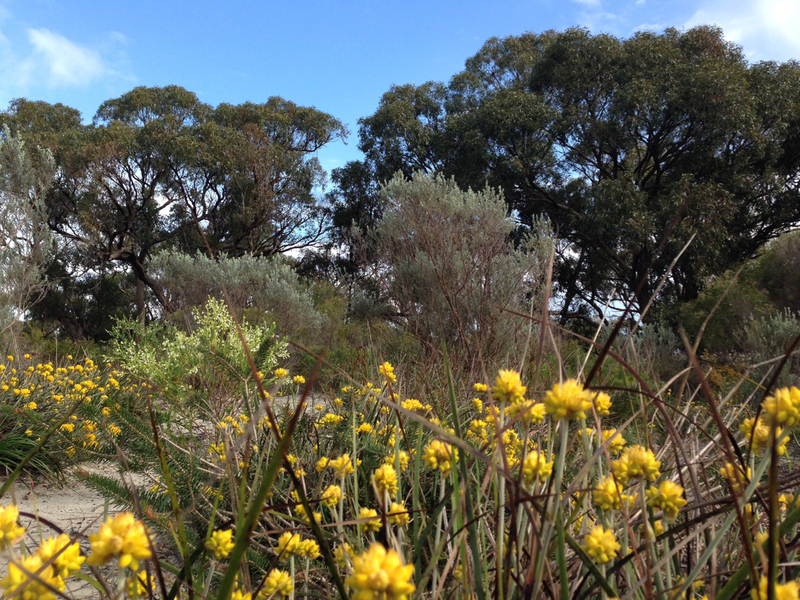 And although some WA species don’t translate well to environmental conditions of the east coast of Australia, we do have much to thank WA for in the range of WA native species we are able to use in our gardens today. You went with your eyes wide open Janna, as usual. Other friends of mine went recently too and came back unimpressed (eyes closed obviously). My eyes are still open wide. Open wide in amazement. Gosh, it was stunning. Will try and get some more photos posted soon. I’ve filtered them down to 70 and just can’t reduce them anymore! I was amazed what a whole new world it was over there. So many new species (of familiar genera) that I didn’t know existed. I hope they hurry up with more grafting!